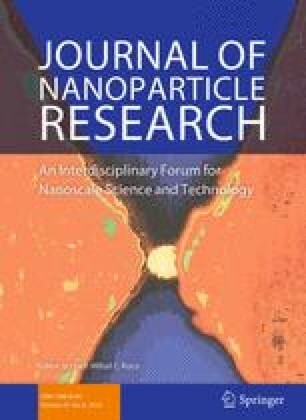 The efficiency of zero-valent iron particles used in the remediation of contaminated groundwater has, with the emergence of nanotechnology, stimulated interest on the use of nano-size particles to take advantage of high-specific surface area and reactivity characteristics of nanoparticles (NPs). Accordingly, engineered iron-NPs are among the most widely used nanomaterials for in situ remediation. However, while several ecotoxicity studies have been conducted to investigate the adverse impacts of these NPs on aquatic organisms, research on the implications of spent iron-based NPs is lacking. In this study, a comparative approach is used, in which the biological effects of three iron-based NPs (Fe3O4 and γ-Fe2O3 NPs with particle sizes ranging from 20 to 50 nm, and Fe0-NPs with an average particle size of 40 nm) on Raphidocelis subcapitata (formely known as Pseudokirchneriella subcapitata) and Daphnia magna were investigated using both as-prepared and pollutant-doped Fe-based NPs. For the latter, arsenic (As) was used as example sorbed pollutant. The results show that improved degree of NP dispersion by use of polyvinylpyrrolidone overlapped with both increased arsenic adsorption capacity and toxicity to the tested organisms. For R. subcapitata, Fe-oxide NPs were more toxic than Fe0-NPs, due primarily to differences in the degree of NPs aggregation and ability to produce reactive oxygen species. For the invertebrate D. magna, a similar trend of biological responses was observed, except that sorption of As to Fe0-NPs significantly increased the toxic response when compared to R. subcapitata. Overall, these findings point to the need for research on downstream implications of NP-pollutant complexes generated during water treatment by injection of NPs into aquatic systems. The online version of this article (doi: 10.1007/s11051-016-3541-8) contains supplementary material, which is available to authorized users. An erratum to this article can be found at http://dx.doi.org/10.1007/s11051-016-3604-x. This research was supported by a seed grant from the University of Florida to JCB. VL was supported by the Bridge to the Doctorate Fellowship from the Office of Graduate Minority Programs in addition to a UF-Alumni Assistantship. We thank Joseph Marchionno from UF and Jennifer Quiros Jimenez of the Universidad de Alcalá for their help with different lab experiments and sample analysis. Finally, the authors thank the anonymous reviewers who helped improve the overall quality of the manuscript.